Hello! I enjoy doing the Runway Inspired Challenge because of the beautiful fashions that are used for inspiration. When I saw the challenge featuring this Ralph Lauren dress (right), I knew at once that I had to use the stamp Leafy Vines from Hero Arts with jewels to create my design. I seldom come up with my ideas so quickly. I stamped the Pink CS with Versamark and heat embossed with Zing Silver EP. Love the look of this. I outlined the edges of the panel with Pilot Silver marker and then I attached assorted gems of blue to the vines. 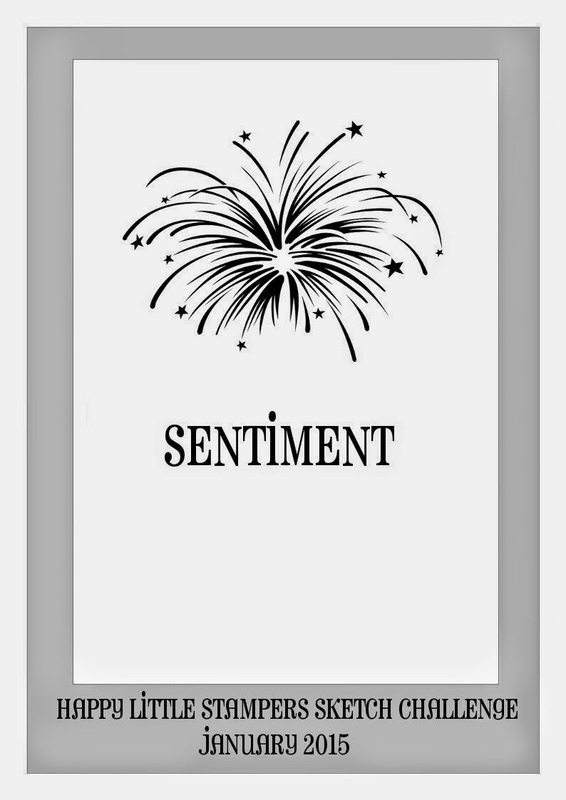 The perfect sentiment YOU ARE FABULOUS from Verve Stamps was added in silver. I attached this layer to the base card of the same cardstock. The Sketch from Happy Little Stampers inspired the layout. I love, love this card...... I think it is Fabulous even if do I say so! My inspiration from the runway came from the color and the jeweled neckline of this beautiful gown. Hi Theresa. 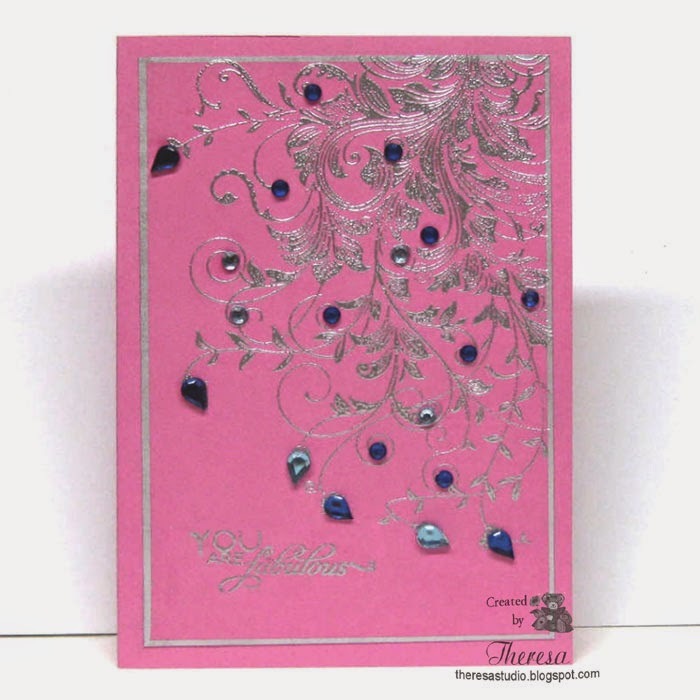 Beautiful and elegant design with the embossed image and jewels. Great interpretation of the runway inspiration photo! Thanks so much for playing along with us at Happy Little Stampers. This is a wonderful interpretation of the challenge inspiration! Gorgeous! Awesome take. Card is so elegant...love it!